In our busy world, standing out can often seem like a sizable hurdle, especially as a small business owner. How can you begin to explain to new customers why your services or products are worth taking a look at if they don't even know you exist? Most of us are well aware that first impressions do actually count. So, make the most of them for your business. This is where finding the right kind of sign for your small business can really help. 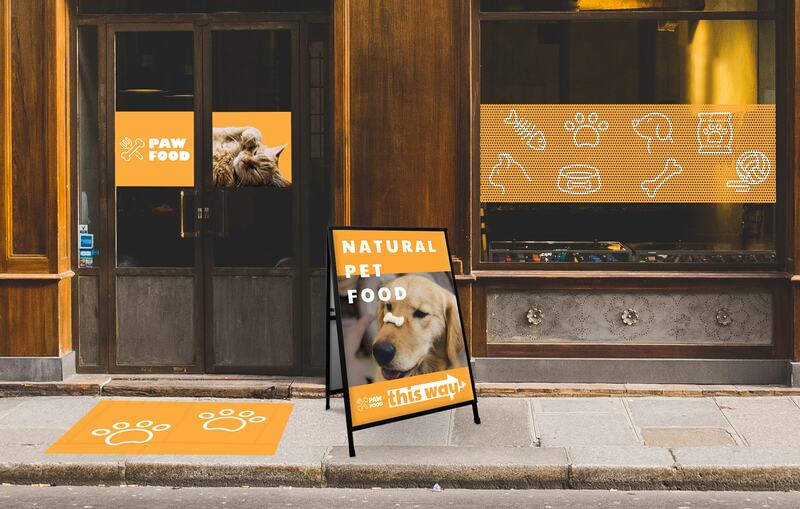 From getting introduced to new customers, increasing foot traffic, and boosting overall awareness for your enterprise, custom signs is a simple, yet often overlooked, solution for promotion. We've compiled some of the top reasons why we believe your business can benefit from finding the right sign. A custom sign is a great way to catch the eye of a passerby. Combine that with your company's logo, and it's now a vessel to build some brand recognition. When logos and visual cues resonate with an individual, these people are more likely to turn to your business or product rather than a competitor's. In short: people like to buy from a business they feel a connection with. Get to know the audience you're trying to appeal to and create your brand around that. Then, use a sign to put that brand identity on display. You can't sell to a customer who doesn't know you exist. As simple as it may sound, evaluating the outside look of your shop can go a long way. Is your business easy to find? Does the exterior look inviting? Does it leave customers wanting to learn more? This is where outdoor signs, are absolutely essential. When you're looking to increase foot traffic in an area, sidewalk and other outdoor signs do the simple, yet key, role of letting people know who you are and where your business is located. Throw in some clever phrasing for good fun and a quick attention-grab. While you're busy running your business, signage provides around the clock promotion. If you're running a sale, a well-crafted sign takes care of conveying that information on it's own. With the right information and design, a custom sign for your business should be able to provide customers with valuable aspects about your brand without you needing to be directly present. Plus, outside of the initial purchase, this "salesperson" doesn't require hourly pay, salary, or benefits making them a great "person" to tag-team promotion with. Hello, cost-effective. We know you're proud to be a small business owner. You should be! Do yourself a service and take care of the aesthetic image you portray to new customers. Though "what's on the inside" may count, you only get one shot at that good first impression. A custom sign that accurately and attractively exhibits what you're all about will resonate with the right people and can help increase sales. Not to mention, existing customers love to see new and fresh approaches to the same business. A new sign in your outer display can catch some attention from previous customers and turn them into returning customers. At CG Sign Lab, we think that every business can benefit from accurate and visually appealing signage. This is why we teamed up with some truly amazing designers to bring you an array of easily customizable templates to bring your business to life while keeping costs low. Still don't know where to start? Our A-Frame Sign Board is a great jumping off point. This sign is sturdy enough to stand outside your shop during the day, yet portable enough to move indoors when the time is right. Plus, the replaceable front and back boards on the frame can be adjusted for different promotions throughout the year. What's not to love?